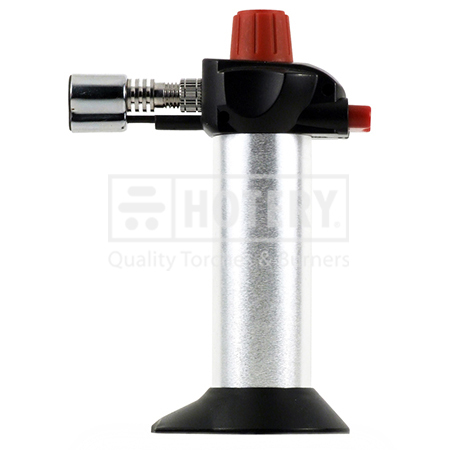 Offering a wide range of materials created Mini Blow Torch by us are reckoned for their quality based features. Since we use only authentic materials in creating our assortment of mini blow torch, thus our range of mini blow torch is class apart. Mini blow torch. alum. torch body. 1. With a piezo trigger ignition. flame is adjustable in soft / pencil flame. 2. Safety adjustable anti-flare flame works in all angles. 3. Use butan gas refillable. shipment no gas. 4. Smart to operate and works at all angles. 5. Each piece 98×57.4×133.5mm (lxwxh). weight: 142.2g. fuel cap: 6.8g (=11.6ml). 6. Heating up to1000˚c which is an essential tool for browning cheese on top of french soup or blackening peppers to remove their skins. 7. Continually around 20mins non-stop operation when big flame. available in various dimensions, these can be customized as per the specific requirements of our clients. Further, we test these stringently before being supplied to clients. Our products are in accordance with well defined industrial standards and available at reasonable rates.